The UK embassy in Russia expressed hope that Boris Johnson would visit Moscow in the nearest future. Postponement is due to rescheduling of the NATO Foreign Ministers meeting. 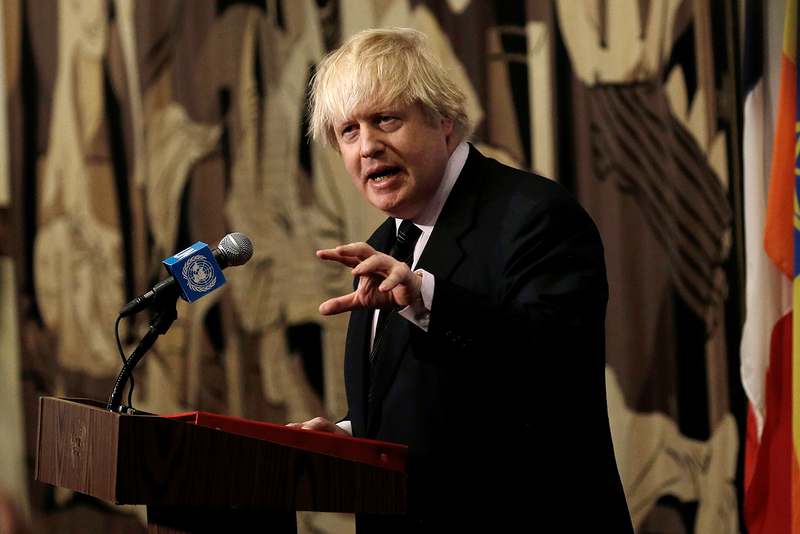 British Foreign Secretary Boris Johnson has informed Russian Foreign Minister Sergey Lavrov that his visit to Moscow was postponed, a spokesman for the British Foreign and Commonwealth Office told TASS on March 27. "We have unfortunately had to postpone the Foreign Secretary’s visit to Russia planned this month due to rescheduling of the NATO Foreign Ministers meeting. The Foreign Secretary has spoken to Foreign Minister Lavrov, and looks forward to reinstating his visit as soon as possible," the spokesman said. Meanwhile, the press service of the British embassy in Moscow said that the visit had been postponed indefinitely due to the NATO Foreign Ministers meeting scheduled to be held in Brussels on March 31. At the same time, the embassy expressed hope that Boris Johnson would visit Moscow in the nearest future. In early March, news came that Johnson would visit Moscow upon the invitation of Russian top diplomat Sergey Lavrov. On March 10, a meeting between Russian Deputy Foreign Minister Vladimir Titov and British Minister of State for Europe and the Americas Alan Duncan took place in London as part of the preparations for the visit. During Johnson’s visit the parties are expected to discuss Russian-British relations and a number of global issues, including the Syrian crisis and the Ukrainian conflict. According to the British Foreign and Commonwealth Office, the visit will be conducted on an "engage but beware" basis. Minister of State at the Foreign and Commonwealth Office David Lidington was the last high-level British diplomat to visit Russia, his visit took place in December 2015.